Y agrega en la misiva: "Sería muy conveniente darle la oportunidad al doctor Gómez de divulgar su trabajo"... "Los caminos nuevos en la ciencia siempre encuentran una resistencia pasiva considerable por parte de otros especialistas, los cuales en este caso, tendrán dificultad para informarse acerca de las teorías y métodos experimentales que el doctor Gómez ha desarrollado eficazmente". 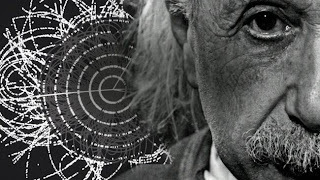 Quién es, pues, esta persona sobre la que se digna escribir Einstein, nada menos que a Batista, bueno, no es otro que Domingo Gómez Gimeránez, nacido un 22 de septiembre de 1903 en Guaracabuya, provincia de Las Villas, y muerto un 10 de diciembre de 1978, en Nueva York, no pudiendo alfabetizarse hasta los 14 años y sólo tras entrar al Ejército, donde a los 15 obtiene el grado de cabo. Posteriormente comienza estudios de Medicina y, en 1921, a través de una convocatoria que hace la Embajada de Francia en La Habana, obtiene una beca para estudiar en la Sorbona donde, en 1928, se gradúa con honores de doctor en Medicina y, en 1929, de doctor en Matemáticas. En 1941, bajo la ocupación alemana, el científico cubano publica el libro, de más de mil páginas, Hemodinámica y Angiocinética, donde explica las bases de la circulación de la sangre y técnicas para la evaluación de las arterias. Su prestigio se expande entre la comunidad científica europea y Adolfo Hitler le hace llegar una invitación para que viaje a Alemania y se integre con sus investigaciones al Tercer Reich, pero el doctor Gimeránez dando muestras de compromiso cívico opta por escapar de París, en abril de 1941, con la ayuda del presidente Batista quien, por demás, recibe después la citada carta de Einstein. El Gobierno cubano le ofrece una pequeña pensión y, en 1942, parte hacia EE.UU donde de inmediato obtiene un puesto como investigador de la Facultad de Medicina de la Universidad de Nueva York. Durante este periodo el científico isleño mantiene un estrecho contacto con Einstein quien, encontrándose en Princeton desde 1933, le ofrece consejo y orientación. En 1952, invitado por el presidente Carlos Prío, Gómez Gimeránez regresa a Cuba para dirigir el nuevo Instituto Nacional Cardiológico en La Habana, nombramiento que se le ratifica luego del golpe de Estado en marzo de ese año. No obstante, hay también que decir que el científico, fiel a su civismo, tuvo serias confrontaciones con Batista debido a no estar de acuerdo con su régimen de facto y, en el otoño de 1958, rechaza la Orden Nacional de la Legión de Honor que otorga Francia, porque ese mismo año se le había adjudicado también a Batista. Pero, en 1959, Fidel Castro se apodera del poder en la isla y, en los primeros días, Gómez Gimeránez es arrestado brevemente, por lo que descontento parte enseguida al exilio y se establece en la Universidad de Columbia, en Nueva York, como profesor asistente. Eleven year-old Cerys Cooksammy-Parnell from Northampton could be one of the brainiest people in the country, achieving 162 in a Mensa IQ test. The speed of light is constant, or so textbooks say. But some scientists are exploring the possibility that this cosmic speed limit changes, a consequence of the nature of the vacuum of space. The definition of the speed of light has some broader implications for fields such as cosmology and astronomy, which assume a stable velocity for light over time. For instance, the speed of light comes up when measuring the fine structure constant (alpha), which defines the strength of the electromagnetic force. And a varying light speed would change the strengths of molecular bonds and the density of nuclear matter itself. Two papers, published in the European Physics Journal D in March, attempt to derive the speed of light from the quantum properties of space itself. Both propose somewhat different mechanisms, but the idea is that the speed of light might change as one alters assumptions about how elementary particles interact with radiation. Both treat space as something that isn't empty, but a great big soup of virtual particles that wink in and out of existence in tiny fractions of a second. Cosmic vacuum and light speedThe first, by lead author Marcel Urban of the Université du Paris-Sud, looks at the cosmic vacuum, which is often assumed to be empty space. The laws of quantum physics, which govern subatomic particles and all things very small, say that the vacuum of space is actually full of fundamental particles like quarks, called "virtual" particles. These matter particles, which are always paired up with their appropriate antiparticle counterpart, pop into existence and almost immediately collide. When matter and antimatter particles touch, they annihilate each other. Photons of light, as they fly through space, are captured and re-emitted by these virtual particles. Urban and his colleagues propose that the energies of these particles — specifically the amount of charge they carry — affect the speed of light. Since the amount of energy a particle will have at the time a photon hits it will be essentially random, the effect on how fast photons move should vary too. To find this tiny fluctuation, the researchers say, one could measure how light disperses at long distances. Some astronomical phenomena, such as gamma-ray bursts, produce pulses of radiation from far enough away that the fluctuations could be detected. The authors also propose using lasers bounced between mirrors placed about 100 yards apart, with a light beam bouncing between them multiple times, to seek those small changes. Particle species and light speedThe second paper proposes a different mechanism but comes to the same conclusion that light speed changes. In that case, Gerd Leuchs and Luis Sánchez-Soto, from the Max Planck Institute for the Physics of Light in Erlangen, Germany, say that the number of species of elementary particle that exist in the universe may be what makes the speed of light what it is. The charges of all these particles are important to their model, because all of them have charges. A quantity called impedance depends on the sum of those charges. 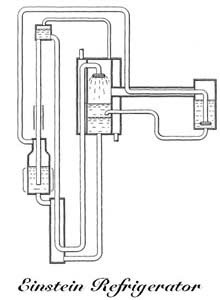 The impedance in turn depends on the permittivity of the vacuum, or how much it resists electric fields, as well as its permeability, or how well it supports magnetic fields. Light waves are made up of both an electric and magnetic wave, so changing those quantities (permittivity and permeability) will change the measured speed of light. "We have calculated the permittivity and permeability of the vacuum as caused by those ephemeral virtual unstable elementary particles," Soto-Sanchez wrote in an email to LiveScience. "It turns out, however, from such a simple model one can discern that those constants contain essentially equal contributions of the different types of electrically charged particle-antiparticle pairs: both, the ones known and those so far unknown to us." Both papers say that light interacts with virtual particle-antiparticle pairs. In Leuchs' and Sanchez-Soto's model, the impedance of the vacuum (which would speed up or slow down the speed of light) depends on the density of the particles. The impedance relates to the ratio of electric fields to magnetic fields in light; every light wave is made up of both kinds of field, and its measured value, along with the permittivity of space to magnetic fields, governs the speed of light. Some scientists are a bit skeptical, though. Jay Wacker, a particle physicist at the SLAC National Accelerator Laboratory, said he wasn't confident about the mathematical techniques used, and that it seemed in both cases the scientists weren't applying the mathematical tools in the way that most would. "The proper way to do this is with the Feynman diagrams," Wacker said. "It's a very interesting question [the speed of light]," he added, but the methods used in these papers are probably not sufficient to investigate it. The other issue is that if there really are a lot of other particles beyond what's in the Standard Model, then this theory needs some serious revision. But so far its predictions have been borne out, notably with the discovery of the Higgs boson. This doesn't mean there aren't any more particles to be found — but if they are out there they're above the energies currently achievable with particle accelerators, and therefore pretty heavy, and it's possible that their effects would have shown up elsewhere. What If Jobs and Einstein Lived to be 150? Einstein was right again. There is a space-time vortex around Earth, and its shape precisely matches the predictions of Einstein's theory of gravity. 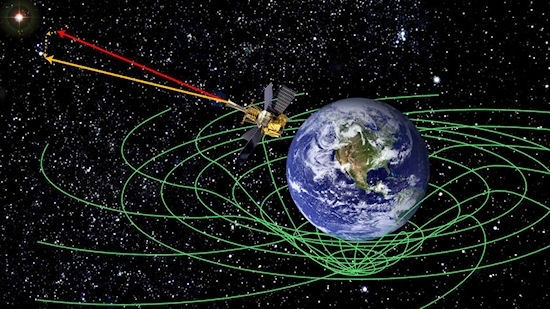 "The space-time around Earth appears to be distorted just as general relativity predicts," says Stanford University physicist Francis Everitt, principal investigator of the Gravity Probe B mission.